MIT Open Learning and J-WEL Higher Education are looking for graduate students and postdocs with knowledge in machine learning, data science, and statistics to facilitate MicroMasters in Data Science and Statistics classes for students across Latin America. The course to be facilitated, between May and August 2019, is "Introduction to Probability - The Science of Uncertainty and Data (6.431x)." Learn more. 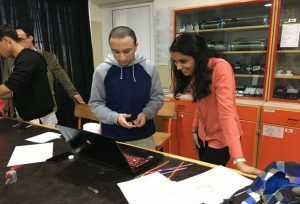 J-WEL’s Global Ambassador program puts J-WEL’s goals into action by sending top MIT students to work on meaningful education projects across the globe. More information on this program will be available soon. Help out during our events throughout the year to learn more about global innovations in education. Are you working on an innovative educational project or technology? Let us know about it.